You can enjoy the scenic beauty of a picturesque forest and also ride on the waves and row across a soothing lake, while enjoying a comfortable stay in a pleasing accommodation. We always keep looking out for options involving a rejuvenating holiday and plan to explore exotic locations. Well, here is one destination which is located within few hours of driving distance from Hyderabad. Explore the massive Lakhnavaram Lake, a spectacular waterbody located in the Jayshankar-Bhupalpally district of Telangana. This breathtakingly beautiful lake is an amazing and popular tourist spot in Telangana. The tourism department has made this place accessible to everyone with its convenient packages to ensure that tourists enjoy their best time here. It’s time to spend your holiday in the lap of nature’s highly blessed spot, Laknavaram Lake. It is well-known for its wonderful hanging bridge, considered one-of-its-kind in the state. You can experience the thrill of taking a stroll on a colorful swinging bridge, which leads you from one island to the other on this historic lake which was formed by bridging three narrow valleys. Each valley is replaced with a short bund, and hills act as their natural barrier. The lake was built by the rulers of the Kakatiya dynasty in 13th Century A.D. The lake is simply an exceptional thing of beauty. You also can get a close glimpse of the artistic creation by Mother Nature. The boats available here are built to facilitate every necessity of the tourists. Tourists visiting Laknavaram prefer to take a cruise on the pleasant lake with the boating facilities introduced by the Tourism Department. Explore the untouched scenic beauty of the lake while riding on the mesmerizing lake. Tourists visiting Laknavaram are recommended to take the boat, because you cannot simply miss this enthralling experience. The entire region looks bountiful with green crops and pleasant climate. The Laknavaram Lake which is nestled amidst the hills was also expanded to provide a source of irrigation. The hanging bridge takes you to the mini island in the lake. There’s one more advantage here as the lake takes shelter in isolated surroundings, making your holiday very private. 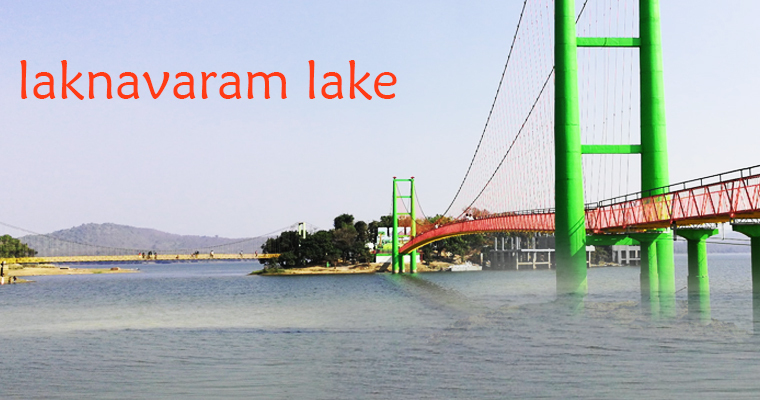 Laknavaram Lake, located in Govindaraopet Mandal about 70 kilometers away from Warangal city, is a popular picnic spot. It is located about 260 km from Hyderabad city. Haritha Lake View Resort at Lakhnavaram, located in the midst of the dense forest region is a nature's paradise. Stay at Haritha Lake View Resort to experience the best A/C and Non-A/C accommodation as well as other facilities available at this Resort.